Domain-Specific Modeling (DSM) languages provide a viable and time-tested solution for continuing to raise the level of abstraction, and thus productivity, beyond coding, making systems and software devel-opment faster and easier. For past workshops at OOPSLA/SPLASH see papers, program, and results of earlier DSM workshops. 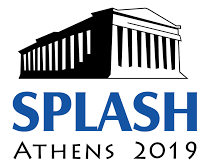 Submission details will be provided soon at SPLASH 2019 conference site. Papers will be published in ACM DL.